Co-Artistic Director, Charles Otte has over twenty years experience creating award-winning content for theatre, attractions, special events, and multi-media venues. Originally a theatre director, Otte also attended graduate school in film production at the University of Southern California where he received the John Huston award for directing excellence. As a professional, he has worked with a diverse clientele including Monty Python Productions, A&E Television, HDTV, the Sundance Institute, Roger Corman Films, BRC Imagination Arts, ShoConcepts, Sentosa Leisure Group, Boston Brewery, Lincoln Center, George P. Johnson Co., NASCAR, TEA, IAAPA, the Alliance Theatre, Martha Graham Dance Company, the Guthrie Theatre, and others. He is currently developing a program in Integrated Media with Live Performance at the University of Texas at Austin. In New York Otte was an assistant to directors Andrei Serban and Robert Wilson before starting his own company, Project III Ensemble Theatre, at the Ohio Theatre in Soho. The Village Voice said of Otte’s work, “The beauty and ingenuity of his visuals are rarely matched on any budget.” In 1984, Mr. Otte began an association with Oscar nominated composer, Philip Glass, and later directed Mr. Glass’s multi-media opera La Belle et La Bete, which received its premier at The Next Wave Festival at the Brooklyn Academy of Music. Additional work with Mr. Glass included staging the international tour of Einstein on the Beach (for Robert Wilson), staging the Lincoln Center production of Songs from Liquid Days, staging The Civil Wars at Carnegie Hall (again for Robert Wilson), and staging Mr. Glass’s opera The Juniper Tree (for Andrei Serban) at the Houston Opera. Other New York productions include Flood by Guntar Grass, Moliere’s Imaginary Invalid, Brecht’s Baal, Mikhail Bulgokov’s Bliss, The Cuchulain Cycle (based on the writings by W.B. Yeates), and the multi-media production This is a Test. In Los Angeles, work includes Travesties by Tom Stoppard (LA Weekly Award Winner for best direction), Bulgakov’s Flight, Brecht’s Threepenny Opera, Gozzi’s King Stag, James Joyce’s The Dead, David Rabe’s Goose and Tomtom, and new plays by Bradley Smith, Steven Haworth, Rick Pagano, and John Bishop. In 2009 he produced the First Look Festival for the Open Fist Theatre (Los Angeles), premiering work by Julie Hebert, Neil Labute, Steven Haworth, Francis Ya-Chu Cowhig, and Karen Hartman. His productions have received multiple LA Weekly and Ovation nominations. Otte also produced and directed the CD-ROM game, Monty Python and the Quest for the Holy Grail and was named one of the Top 100 producers of 1996 by AV-Multimedia Producer magazine. From 1997 to 2000 he produced the Los Angeles Screenplay Reading Series for The Sundance Institute, as well as developing scripts for The Mojave Group. His screenwriting and film directing credits include Blind Faith, and I am Not a Ghost for Click Productions (Roger Corman), NASCAR: Countdown to Sunday for A&E television, and Beer Nutz for HDTV. In 2009, Otte worked as a writer/show director in the design and concept phase for the Marvel Theme Park in Dubai, UAE. Additional theme park work can be seen in Seoul, Korea at Lotte World where the Adventures of Sinbad is now running, and in Donkey’s Knight Club at the soon to be open Resorts World (Universal Singapore). In 1999 Mr. Otte joined BRC Imagination Arts in Burbank, California, and directed The Star of Destiny, for the State History Museum in Austin, Texas. The production combines elements of film and live theatre in a 250 seat house and plays over 10 shows daily, 365 days a year. In 2005 Otte finished work on the design and direction of the Abraham Lincoln Presidential Library and Museum in Springfield, Illinois. Otte spent 4 years working with a team of writers and designers to create a unique museum that focuses on the life and times of Abraham Lincoln. This 98,000 sq. foot building includes traditional museum displays of high security items such as the Gettysburg Address and the Emancipation Proclamation, as well as two different 300 seat theatres, various interactive elements, and a thematic walk-through experience that traces the course of Lincoln’s life. Otte directed five major shows for the museum, and oversaw the production of all media, original art, music, graphics, and displays. Additional work in mixed media includes creating large scale events for conventions and directing awards shows. In 2002 Otte received the TEA Award for Outstanding Achievement for The Star of Destiny, in 2006 he received the TEA Award as a creative director for the Lincoln Museum, and in 2007 he received the LA Weekly award for best comedy direction for Travesties. Charles Otte spends any free time he can muster playing music with his friends. 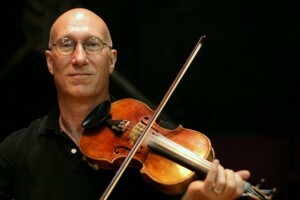 His jazz and bluegrass fiddle can be heard on a number of CDs and on the soundtrack to the Sam Raimi film, THE GIFT.